Cuyamaca College | Cuyamaca College provides a solid education to students, whether they’re beginning their university degree, returning to school to acquire new skills, or enrolling in an innovative occupational program. Cuyamaca College provides a solid education to students, whether they’re beginning their university degree, returning to school to acquire new skills, or enrolling in an innovative occupational program. 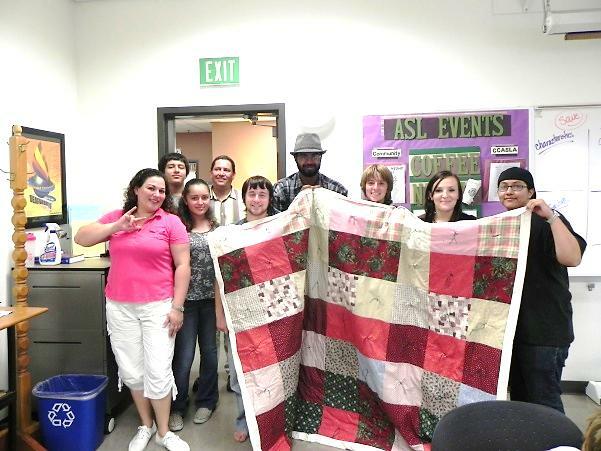 Recently, CCASLA Officers, ASL students, ASL Faculty Advisors, and our local ASL community friends gathered in the ASL Labs at Cuyamaca College to participate in our third annual “Quilting Days.” Approximately 20 people participated this year’s event. We were able to complete 10 full quilts and 5 partial quilts (to be completed next year). The quilts will be added to those of our community partners and sent to areas devastated by disasters at home and abroad. This is our third year hosting this event, and we are very proud to be able to help people stay warm and dry around the world. On Friday, September 14th the International Furnishings and Design Association Educational Foundation held its annual celebration recognizing San Diego’s rising design stars. Cuyamaca College student, Mr. Jafar Deno, was one of six area students recognized for their outstanding work in the field. Jafar is currently completing a rare feat, concentrating on both areas of emphasis for an AS degree in CADD Technology, Building Design Industry and Manufacturing Industry. The International Furnishings and Design Association (IFDA) is a worldwide professional alliance of leaders representing the diverse industries that constitute the universe of residential and commercial furnishings and design. 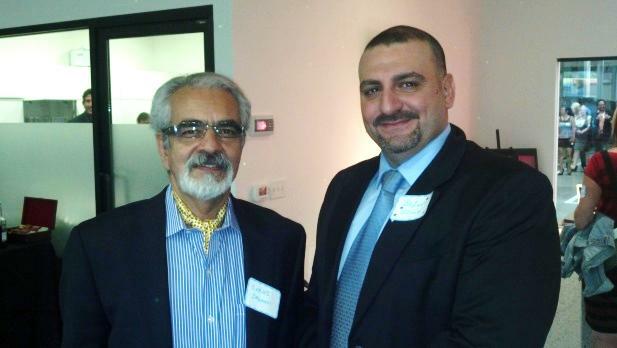 In the picture is Dr. Cyrus Saghafi (left), Department Chair of CADD Technology, and CADD student, Jafar Deno. 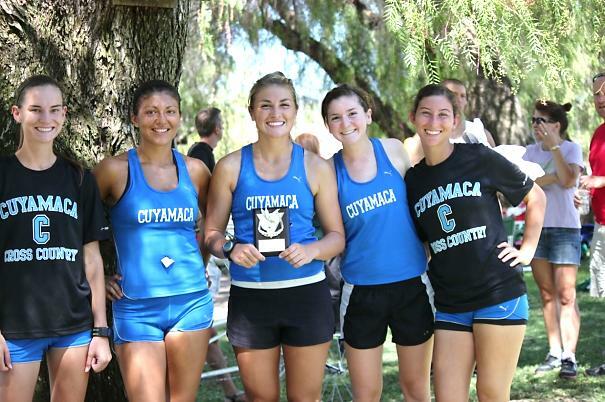 For the first time Cuyamaca College has a women’s cross-country track team. They really showed that they were a force to be reckoned with, finishing in 1st place at the recent Cuyamaca Invite. Mr. Anthony Garcia is their coach. Teammates are Paige Hughes, Betty Covarrubias, Sarah Snyder, Ashley Fishman and Kailene Gini. Welcome Week was a resounding success, attracting a large number of students who were able to find just the right program, club, or activity to meet their needs. The new school year began with the Student Organization Involvement Fair which showcased the wide variety of organizations that make up the Cuyamaca College campus, and also made it easy for new and returning students to become involved. The Grand Lawn was filled with student organizations’ information tables that were filled with information about their clubs, scheduled events, and available leadership positions. The newly formed Psychology Club, which was organized at the end of last Spring semester, recruited 43 new members at the Involvement Fair. Representatives from Cuyamaca College’s student organizations, Student Government officers were on site to greet students and inform them about the numerous opportunities to become involved on campus. In addition to the educational aspects of the Student Organization Fair, there was plenty of free food and music. San Diego’s KZBT 94.9 radio added to the festivities by broadcasting live during the event and giving away prizes. 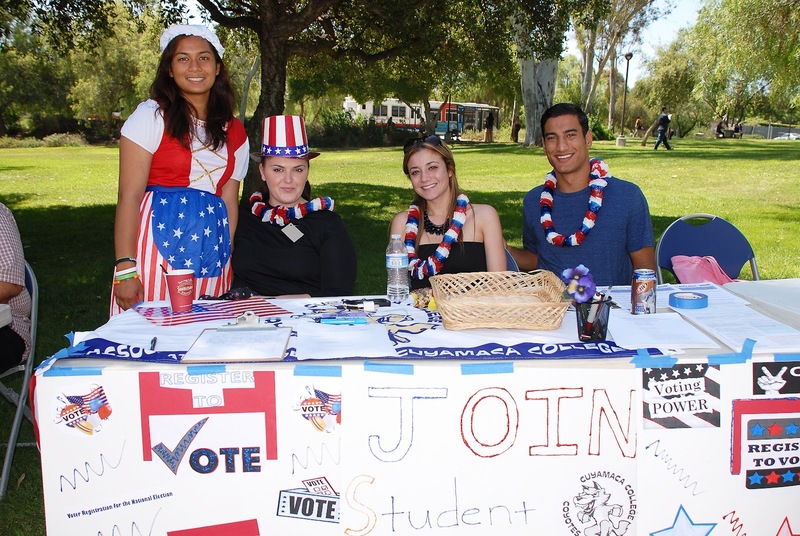 Cuyamaca College’s Student Government kicked off its voter registration campaign, registering students and providing them with information provided by the San Diego Registrar of Voters. Other Welcome Week activities included a free breakfast for students, free BBQ with games on the Grand Lawn, and a “Meet and Greet” with the Student Government student leadership. Seaman will be cheering on a group of other athletes he coaches, including his wife, Rachel, Canada’s leading contender in the women’s 20-kilometer race walk. The two other Seaman-trained athletes earning Olympic berths in London are Trevor Barron, a 19-year-old prodigy who broke a pair of American records previously held by none other than Seaman; and Maria Michta, the top finisher in the U.S. women’s 20K race walk. Seaman, who competed in the 20K race walk at the 2000 and 2004 Olympics, had hoped to compete for Team USA this year, but missed that mark when he came in second at the U.S. track trials Saturday in Eugene, Ore. While he fell short of his Olympic goal, he managed to set four masters records for the 40-45 age category. Earlier this year, as his Cuyamaca College athletes watched, Seaman earned a designation as an Olympic alternate behind fellow San Diegan John Nunn in the 50K race walking trials held in Santee. Another Seaman protégé, Cuyamaca College graduate Nick Christie, finished third in the men’s 20K race walk, setting a personal record time of one hour, 29 minutes, 47 seconds, bested only by Barron’s 1:23:00 and Seaman’s 1:27:29. Still another member of Seaman’s coterie, 18-year-old Tyler Sorensen, finished sixth and also set a new U.S. Junior men’s 15K race walk record. Seaman, 10 times a national record holder at various race walking distances, and the most decorated competitor in his sport in U.S. history, was a unique story at the U.S. Track and Field Olympic Team Trials which drew to a close Sunday after a week and a half of Olympic-qualifying competition at the University of Oregon. Through sheer determination and dedication to a sport that is easily the least heralded of Olympic track and field events – at least in the United States — the 40-year-old Imperial Beach resident has remained a competitive racer in a sport that he was recruited to in 1990 by a high school coach in Long Island. That competitive drive was key to Seaman’s dual role in Oregon as both a competitor and coach to the same athletes he raced against in the 20K. Seaman, who has written two books on race walking and runs clinics and training camps in and out of the state, is sought out by top young race walkers across the nation for mentoring. Barron, who took up the sport at age 9, moved to San Diego when he turned 16 to train under Seaman. Today, the Colorado College computer science major is regarded by fellow racers as the American most likely to raise the profile of the sport oft-derided by the public for its peculiar, hip-swiveling gait. Seaman acknowledged that race-walking has not garnered the same prestige as other Olympic track and field events. 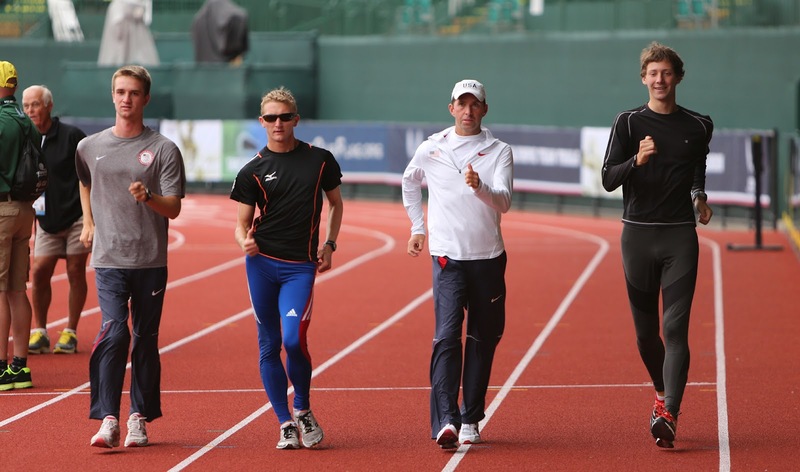 While other coaches are paid to accompany their athletes, race-walking coaches have to pay their own way and are relegated to spectator status. Long accustomed to his sport’s lack of prestige, Seaman accepts the inequities with a shrug. With the trials over, it’s back to work at Cuyamaca, where he is teaching a conditioning class that ends on June 18, the same day he will flying to Dusseldorf , Germany, where Team Canada has set up its pre-competition camp for athletes to train and to focus on their events. With his wife in Germany and his American athletes at Team USA’s pre-camp in Birmingham, England, Seaman expects to be doing some hop-scotching between the two countries in the coming weeks. The travel costs and time away from work demanded by his sport has meant years of sacrifice for Seaman, but the satisfaction he derives from training an up-and-coming generation of race walkers rivals his addiction to competition. One athlete who has benefited from Seaman’s personal mentoring is Christie, a former cross country runner at Cuyamaca, who took up race walking 14 months ago at his coach’s urging. The switch paid off for Christie, who last month accepted a scholarship offer from Missouri Baptist University, and has burst onto the scene as one of the top young race walkers in the nation. Although Christie didn’t qualify for the Olympic Games, he will compete this week in Mexico in the North America Central America and Caribbean (NACAC) meet for top-ranked, young athletes. Seaman has a special place in his heart for his cross country runners at Cuyamaca, saying their support during the two years that he’s been at the college has been a motivating factor to step up his training and to remain competitive. As for London, Seaman concedes that he will again be in a unique position, given that his wife will be competing against yet another of his athletes, Maria Michta. As for what’s next for Seaman, the athlete, he has his eyes set for the World Track and Field Championships in Moscow in August 2013. “I don’t want to retire just yet,” he said. 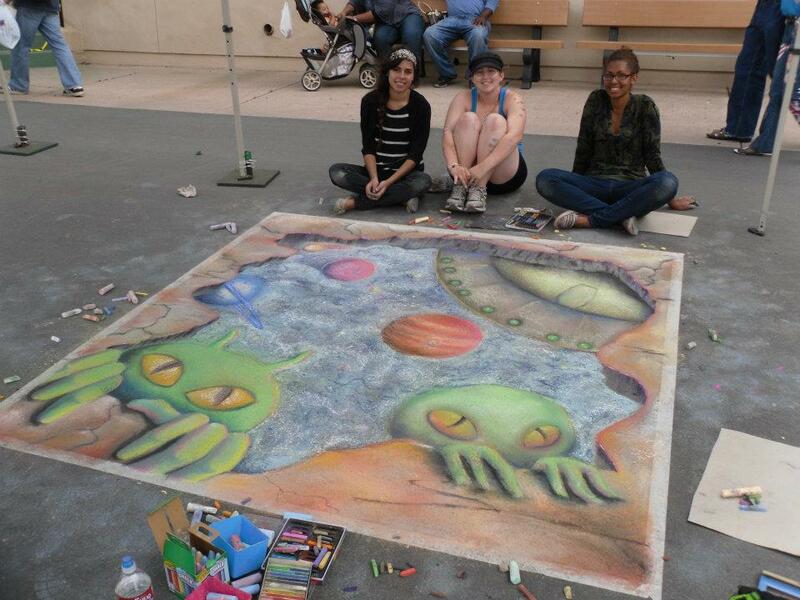 Art students, Mr. Norman Brown and Ms. Charlene Mosley, adjunct art instructor Ms. Mary Ford, and Art Department Chair, Dr. Marie Ramos also participated in the Plein Air contest during the San Diego County Fair.